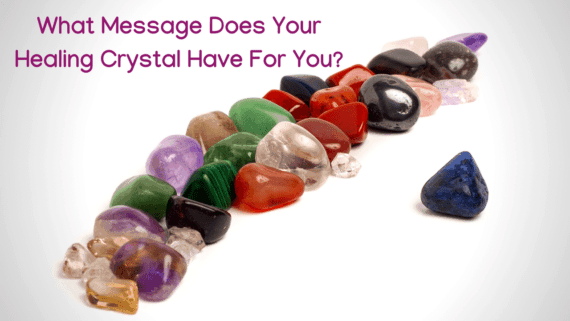 When we talk about white noise we are talking about sound therapy. We are not talking about devices that create annoying static hum! That’s why it is important to ensure we select tried and tested machines from reputable suppliers. In this article we will look at defining white noise, cover the major benefits of white noise sound therapy and provide reviews of the six best white noise machines on the market today! Each machine has been individually evaluated for effectiveness, therapeutic results, consumer satisfaction, value for money and come from expert manufacturers. Already know about white noise and it’s benefits? Then use the link below to jump directly to our product reviews. 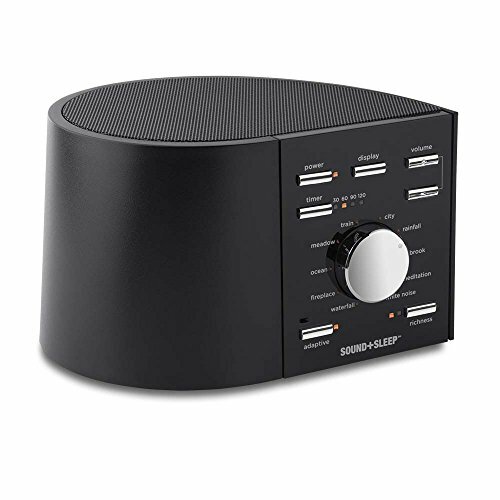 Click Here To Go Straight To Our Best Sound Therapy White Noise Machine Recommendations. In today’s busy life we become used to the buzz and annoyance of the noises around us. For example, if you ever moved to live in a city the first thing you probably heard were the sirens, traffic and noisy neighbors but then eventually you didn’t even hear them? This is normal! We acclimatize with familiar noise. When we are busy and going about our business the noise becomes part of our expectation. The problem is these noise associations are linked to times when we are busy. So when we lie down at the end of a long day to fall asleep, our subconscious changes focus from “busy work day” to “relax and sleep mode” and we suddenly become aware of every disruptive sound in our environment. What Are The Common Sleep Stealing Sounds? When laying awake any non-familiar or non-welcome noise, regardless of how innocuous, becomes sleep stealing! Why? Because our brain is wanting, and expecting, silence! How Does Sound Therapy White Noise Resolve This? White noise solves these sleep stealing annoyances by creating new sound that covers a broad range of frequencies. It sounds wrong doesn’t it? Adding noise to drown out noise! Think about two people having a conversation. When you talk 1-1 it’s pretty easy to hear what is being said because your brain automatically focuses on the individual words. But if you are in a room where hundreds of people are having conversations it becomes impossible to understand what is being said, even by a few of those people. The hundreds of voices just become a blanket of uniform sound. It is therefore easy for our brain to ignore. Our brain doesn’t understand the voices, therefore doesn’t focus on any particular conversation so allows the noise to fade into the background. This background sound tells our brain to relax rather than focus. Therefore it acts as a buffer, meaning any sudden noises (like sirens, people talking, or a neighbors sudden music) is masked, becoming part of the uniform sound blanket and you keep right on sleeping. try placing the sound machine in a variety of locations. Experiment with sounds – differing people will find some “white noise” sounds more soothing than others. How Does White Noise Benefit Sleep? 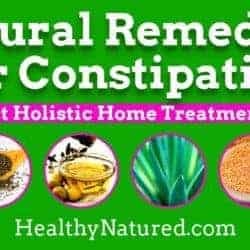 Helps Build A Better Sleeptime Routine. It is always a good idea to establish a routine for sleep (both for children and adults). 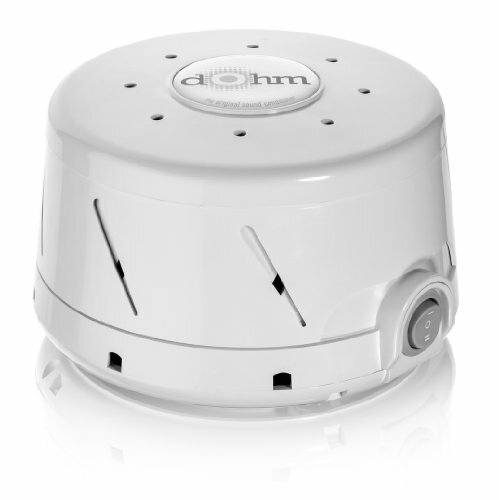 White noise machines turn sleep hygiene into a habit! Simply the routine of entering the room, switching on the machine and preparing for bed becomes a habit..one that our brain recognizes as “time to sleep”. Keeps Bedrooms Quiet To Maximize Sleep. For optimal sleep, you obviously need an optimal environment. 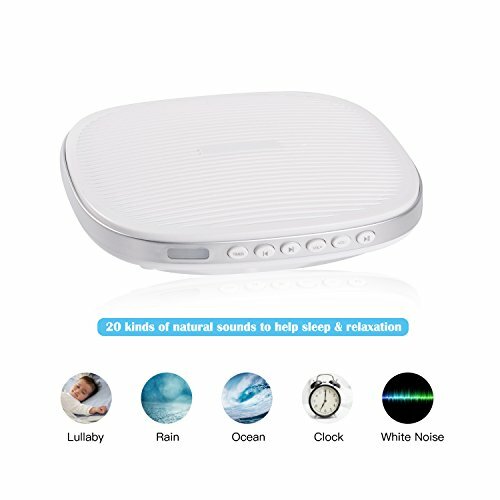 White noise machines buffer any disturbing sounds and help create a quiet haven, regardless of your surrounding. Shut Down Of A Focused And Busy Brain. Through masking sounds that might normally interrupt your sleep, the white noise machine protects your peaceful rest and sleep. It also helps by ensuring that if you do wake up, it becomes much easier for you to fall back to sleep.White Noise Helps You To Sleep More Soundly. Most people have no idea how many times they wake throughout the night. Most people wake on and off very often. Even if you don’t remember waking up the next morning, those little interruptions, no matter how short, have affected the quality of your sleep. White noise helps minimize waking which allows you a better sleep and more rest. In the morning you’ll notice how refreshed you feel. The Original Sound Therapy White Noise Machine! Marpac first introduced the white noise machine to market in 1962. 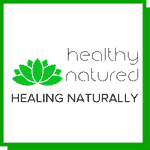 It is now in its 4th generation design. Instead of digital (electronic) recordings, the Marpac Classic has a built-in fan which creates the sound of rushing air. The Marpac Dohm Classic has a compact adjustable acoustic housing which surrounds a two-speed electric motor and a unique asymmetrical fan. This design creates the soothing sound of rushing air without the disturbance of actual moving air. This all-natural “white noise” is proven to effectively block sleep stealing noises so you can get deep, undisturbed sleep all night long. SOUND+SLEEP allows you to choose from 10 distinct sound profiles, each of them having three levels of richness. This allows a total of 30 different sound profiles, all having been scientifically engineered to promote a deeper sleep. SOUND+SLEEP uses amazingly natural high-definition recorded sounds. Sleeping well needs to begin at an early age. 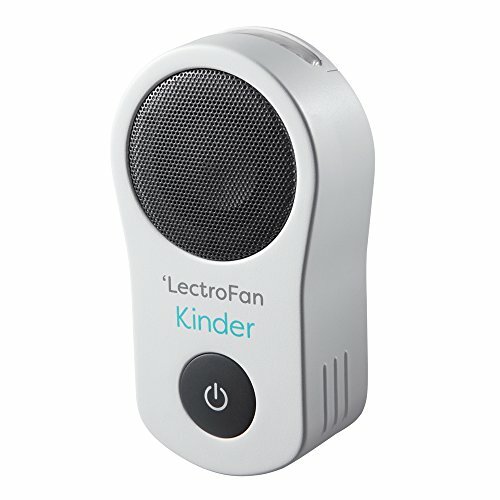 The LectroFan Kinder helps to make sure your child gets the very best sleep. Get peace of mind knowing your child’s bedtime routine will be easy. Plug the LectroFan Kinder into any standard outlet, then download the app, and control all features easily from your phone. Peaceful White Noise From A Real Fan. Fully Adjustable Volume And Tone (10 settings). 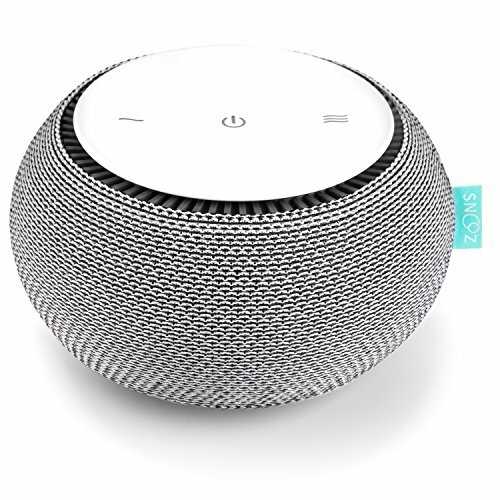 SNOOZ is unique fan-based white noise machine for sleep. Unique design that not only helps that you fall asleep,but it also helps you to stay asleep. The SNOOZ machine uses a proprietary fan impeller which is housed inside an acoustically optimized shell. This design means the SNOOZ emits an extremely peaceful white noise which helps the world fade away and allows you to have a truly deep and refreshing sleep. The Yostyle Sleep Sound Therapy Machine allows you to enjoy better relaxation, improves your focus, and is one of the best sleep aid devices on the market. Yostyle SoundSpa technology blocks out distractions to create the perfect environment for sleep, relaxation and concentration. Twenty soothing sounds with seven volume levels – Sounds include White Noise, Summer Night, Book, Thunder, Rain, Ocean and others. Those steady relaxing sounds include fan or white, pink or brown noise. 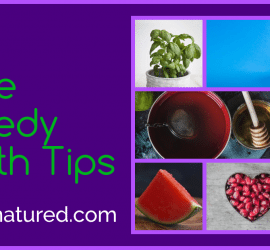 All of which help you get to sleep more quickly, stay asleep longer and remove distraction from your environment. Perfect for you, your children and your loved ones – enjoy perfect peaceful sleep! 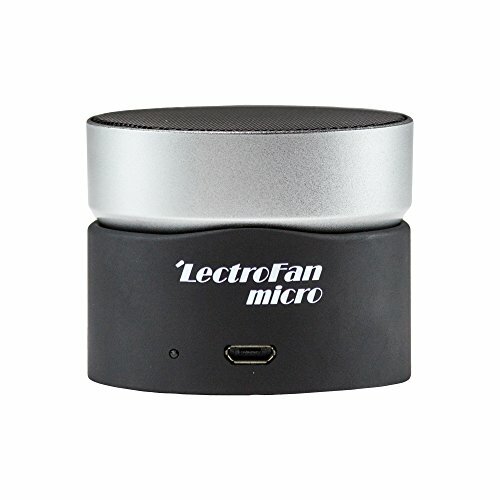 The LectroFan micro is a portable sound machine for sleep, relaxation, studying and conversation privacy. It features a wireless, portable Bluetooth speaker system able to connect to smartphones, tablets, computers or any compatible Bluetooth devices. The premium swivel mounting design lets you point the speaker in any direction. The best sound therapy white noise machine guide. If you do choose one of these machines please do let me know! I would love to hear your thoughts and views! I know you’ll be delighted with any of the above!